Chrisye sings Dangdut with A.Rafiq at Konser Dekade. Arranged by Erwin Gutawa. Rio Sidik plays Trumpet. Now he is a member of Saharadja. 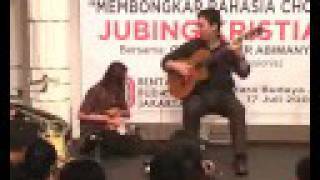 A popular dangdut song in Indonesia, arranged and played on solo guitar by Jubing Kristianto, accompanied by percussionist Suryadi Plenthe . Suryadi played udu , a jar like instrument from Nigeria. This was performed on the launching of Hujan Fantasy album at Bentara Budaya Jakarta, July 2008. Find Jubing s music at iTunes and Spotify. Booking contact: jubingkristianto@gmail.com. 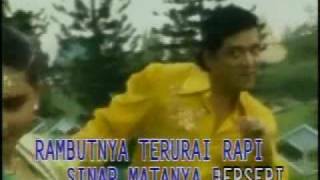 Dangdut, the Most Popular Music of Indonesia. Dangdut music is gaining popularity among the Indonesian people and non Indonesians alike, Dangdut Happy rhythm of real life getting more and more popular among kids, teenagers, adults, men and women, that means everyone of all ages. Many consider the Dangdut music to be the country's most popular music of Indonesia, where you can hear Dangdut in the unforgettable streets of the Capital Jakarta. USA, Europe, Australia, North and South America, the Middle East or anywhere in Asia and the Far East, when you listen to Dangdut Music, you feel yourself going back in Time and Space to the beautiful Capital, Jakarta, Indonesia, and to the Islands of Java, Bali, Sulawesi and more, please listen to the Dangdut and appreciate every moment listening. 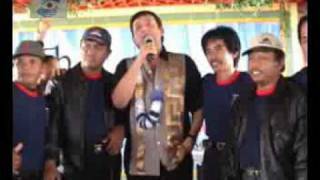 Indonesian Music: Dangdut, World Popular Music Cross Roads. Dangdut Music (sometimes spelled wrong as: Dandut) combines many traditional style of music from many countries including traditional Indonesian music style, music Style from India, music style from the Middle East in general, the Arab countries, styles from India and China and on the top of that all the Modern styles of Europe, USA and Australia all together in style: Dangdut. All these variations, combinations of Instruments and styles live together beautifully and harmonically in Dangdut! This is what's called Dangdut, this Dangdut music is the Ultimate Music in Diversity World Wide; Dangdut is so unique that you cannot find the same music anywhere else, only in Indonesia, only Dangdut is the cross roads of music world wide, North and South, East and West, Old and New, Indonesia's Dangdut got no Time or Geographic Barriers Dangdut got no Limits. Yes, Dangdut is the music of Indonesia, all Indonesia, that's why you don't be surprised to find out that there is a famous Dangdut song called: Dangdut is the Music of My Country, it is a dangdut pop or Popdut song. 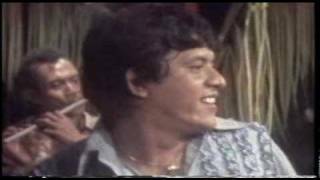 the song shows how unique and diverse Indonesia is and shows how much love all Indonesian people from adult to baby have for their Dangdut music.